I always said our children wouldn’t stop us doing anything. That our lives wouldn’t really change. And as nieve as that was for many things holidays really never did change. Like everyone we love holidays, all kinds from camping to Florida. When Grace was just 6 months old we decided we wanted to return to Rhodes where we got married for our anniversary. Lots of people told us we were mad. This could have also been because we booked just 2 days before going. However I believe most people thought we was mad for taking a baby on a 4 hour plane journey. I have to admit the thought of it did worry me a little. What if her ears hurt on the plane? What if she couldn’t settle? How would I make her bottles over there? Two days later and we was on the plane. I had a bag full of medication, raisins, rice cakes, toys, change of clothes. I felt ready still a little worried. The flight literally couldn’t have gone better, I was a quivering wreck inside but Grace wasn’t fazed at all. The hum of the engine sent her straight to sleep and she stayed that way for most of the flight. Eating the food they provided was the hardest part. Since then we have done a few more flights and all have gone just as smooth. The most recent was with all four children when they were. 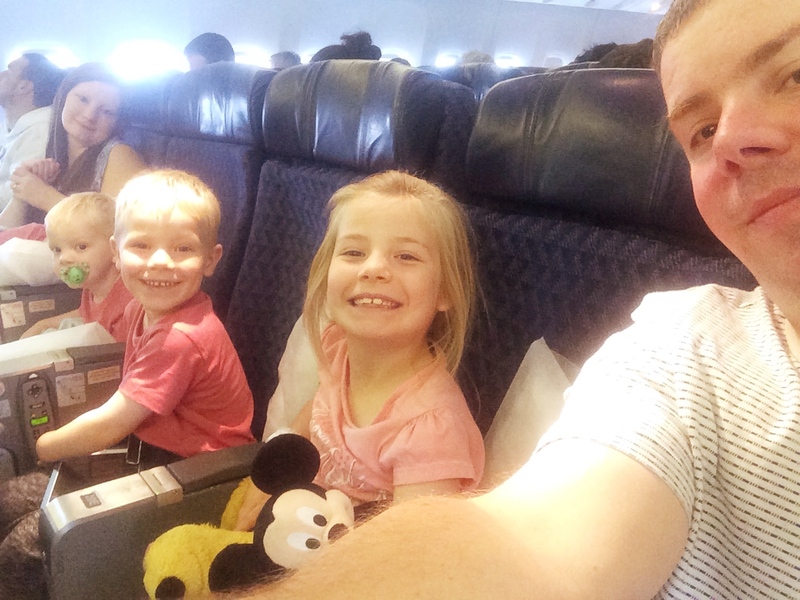 6,4,2 and 1 people again told us we were made for taking four small children and the fact this time we was going to Florida on a In Direct flight so travel time was just over 10 hours so not just one plane but 2 there and 2 back. You know what it was fine there was no dramas the kids were a dream. Yes they got very tired but the actual flight part wasn’t an issue at all. The hardest part is moving luggage hand luggage and children at the same time. 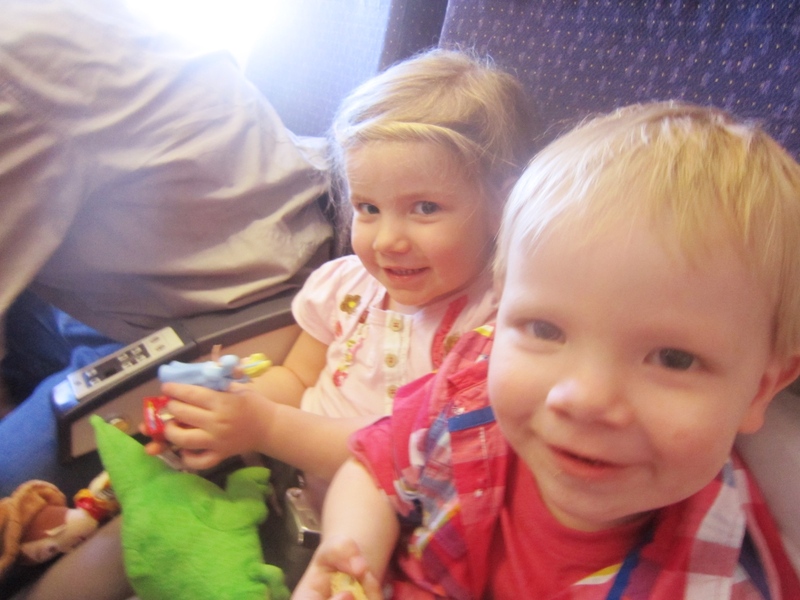 So here are my top tips on how to have a smooth peaceful flight with little ones. For our long haul flights, I always make sure I have something new to open for them. This can be anything from a little book, colouring, playing cards or a small toy. I have even seen people take small pots of playdoh. As long as you are prepared to tidy your mess you can take anything. Depending on the age of your child they may or may not get a meal. And the meals even though are meant to be for children are not the best. If your child dislikes it there is a long wait till you can buy something other than Pringle’s. We always take raisin crisps crackers rice cakes and sweets of course. We also have started taking the just bursts. The small bottles that you can then squirt into water to make juice. You can’t take fluids though over 100ml so these work a treat. Take your normal juice bottles empty then buy water air side and add your splash of their favourite juice. 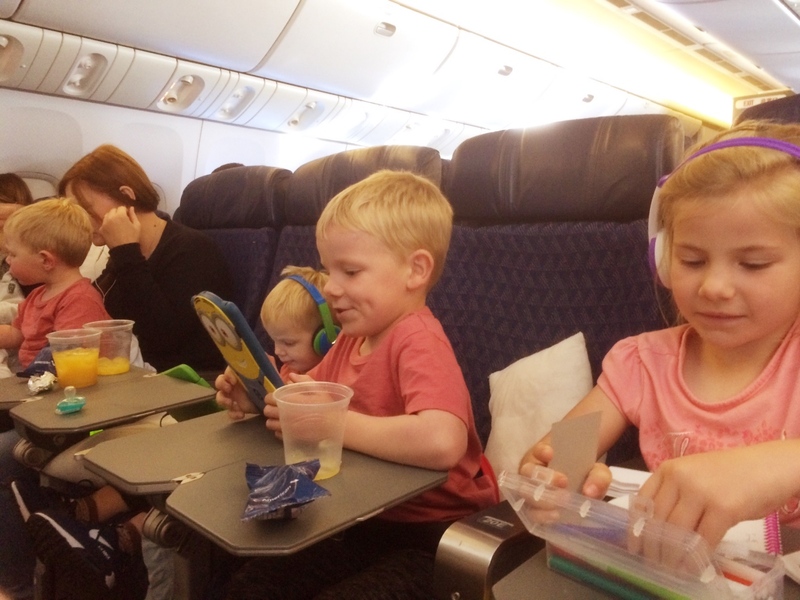 Little ones love familiarity, and being in an airport and on a big plane can be scary as well as exciting. Having something from home can be a huge comfort for them when your just a little too busy to hold their hand. I know this post is all about how easy I have found it. However I have never expected it to be. I have always gone prepared for tantrums tears meltdowns. I don’t expect them to be perfect so I allow things to slide that I wouldn’t normally. They are going to be supper excited so bouncing loads more talking more shouting more than normal. And you know what in the airport that is fine. Get it out their system as it’s the plane you want them to be quite and calm. You need to be prepared for everything and anything. Take medicine for your self and them in your hand luggage. As long as it’s under 100ml your fine. If you have a baby or little one in nappies, pack your nappie sacks in advance with wipes and the nappy and fold it over, so then your just taking a small sack to the very small toilets that get even smaller when you pull the table down. Take spare clothes not just for the little ones but for your self as well. There is nothing worse than the kids spilling something on you. Take vaseline as your lips will get dry, and have plenty of water as you dehydrate because of the cabin pressure. Most of all we just go with the flo. When we last went Florida Seth just wanted to play with the inflight entertainment, nothing I had packed until the last 30 mins of the flight. The older 3 just wanted their iPads and that’s as all fine as they were happy and quite. One last note don’t worry about walking up and down the aisle if the seat belt light is off, they really don’t mind and I love being nosy to see what others are snacking on and reading. Happy travels everyone. Let us know if you have any other tips for trips ?